Deborah Martinez joined Mullen & Filippi as an Associate Attorney in January of 2016. She has been practicing law and representing insurance companies, self-insured employers and public agencies before the California Workers’ Compensation Appeals Board since August of 2002. Her current, and prior, duties and responsibilities entail handling complex workers' compensation claims through advice to clients, assistance in discovery, representation through phases of litigation, including trials, and negotiation of resolutions. 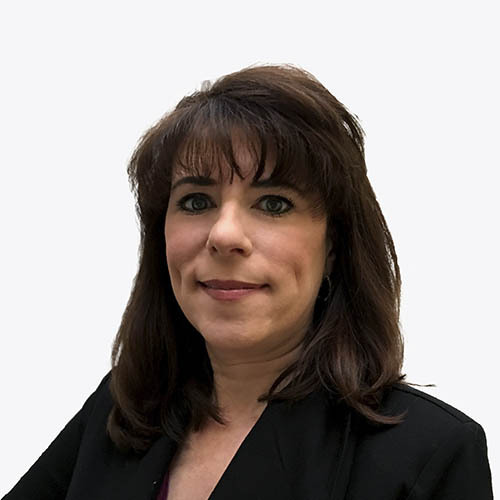 Deborah also provides extensive legal analysis, including potential exposure, to assist with bringing cases to closure at the early stages of a claim. Additionally, she assists with training and development skills of new associates; conducts training and seminars to insurance companies, employers pertaining to Workers' Compensation guidelines and regulations. To keep abreast of the current law, Deborah routinely attends seminars, classes and training, pertaining specifically to the workers' compensation arena (i.e. decisions pertaining to AMA Guides, liens, MPN, etc.). Deborah graduated from Santa Clara University in 1994, with a Bachelor of Science in Political Science and with an emphasis in Pre-Law. She also completed the University's 2 year Paralegal program, within 9 months and by 1995, received a Paralegal Certification. From 1997-2001, while employed with the Santa Clara County District Attorney's Office as a full-time paralegal Deborah attended and then graduated from Lincoln Law School in San Jose. During her time at Lincoln, she served on the Lincoln Law Review and as SBA Secretary. In 2001, she received Outstanding Performance for Business Editor and the President's Award. Deborah has been a member of the California State Bar since 2002. As a child, I always knew that I would either practice law or medicine. Since science was never my strong suit, and after hearing my mother's "stories" from her work with the District Attorney's office, I knew I had to become a lawyer. What I would actually do with the degree was in question! I chose to practice workers' compensation law when I discovered that it was an area of law in which I would continue to learn something new each and every day. It's certainly never boring and the ever-changing laws keep me on my toes. When I'm not in the office and away from work, I enjoy my time with family, friends, and fur babies, which may entail watching my nephews' sports events, eating casual homemade dinners, golfing with my parents and life partner David, or simply visiting. When I want to relax, a trip to Cancun or Hawaii is mostly in the itinerary. While vacationing, lying by the pool with a good book and umbrella drink, enjoying the weather and sites are my ideas of a good time. When I get real adventurous, learning about our world and history, and my new bucket list "item".... visiting baseball stadiums, might be in the cards. I have recently traveled to Boston and NY, which included watching games at Yankee Stadium and Fenway Park/ "The Green Monster". Next up, Wrigley Field!